Dress crisply to make a great first impression. We all know the cliches “dress to impress” and “first impressions last”, and it barely needs stating that you would be wise to dress appropriately for an interview. That said, there is some pretty interesting psychology and (neuro)science that really supports this wisdom. According to this study carried out in 2013 by researchers from the University of Hertfordshire, it turns out that, after viewing an image of a male model for just five seconds, participants rated him as more likely to be successful if he was wearing a tailored suit rather than an off-the-peg suit. The fact is that we make dozens of subconscious judgments in the very first few seconds that we meet someone for the first time. Anyone who has interviewed as many people as I have will confirm that, within seconds, we have already formed a strong ‘gut’ feeling on a candidate. The judgments that we form are about background, trustworthiness, intelligence, education and indeed how successful you are. Your interviewer will – without even trying – start forming these judgments about you, the instant that you walk into the room. 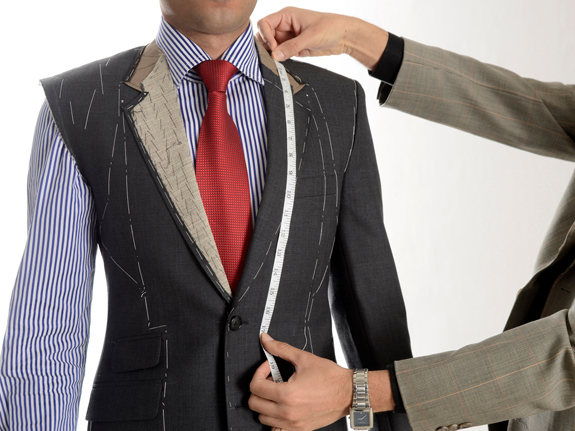 So give yourself the best possible chance of making a great first impression by investing in a bespoke suit that just shouts “hire me”.